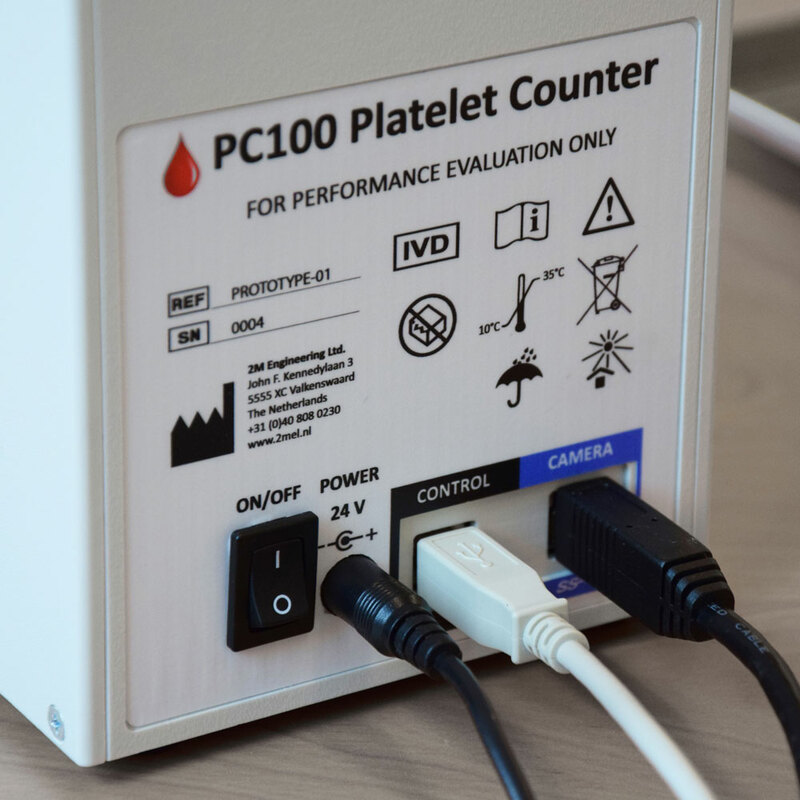 The platelet cell counter is able to accurately count platelet or thrombocytes concentrations in whole blood from very low levels (10 plts/nl) as well as in Platelet Rich Plasma up to 10x baseline. 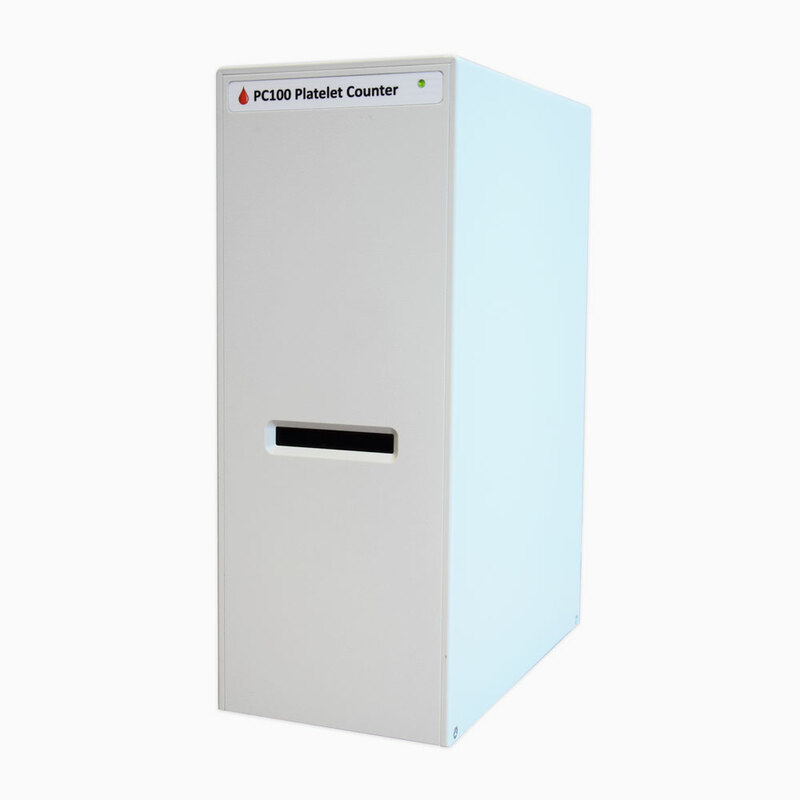 The automated platelet cell counter is an affordable Point of Care device which removes the need to count Thrombocytes (platelets) manually. 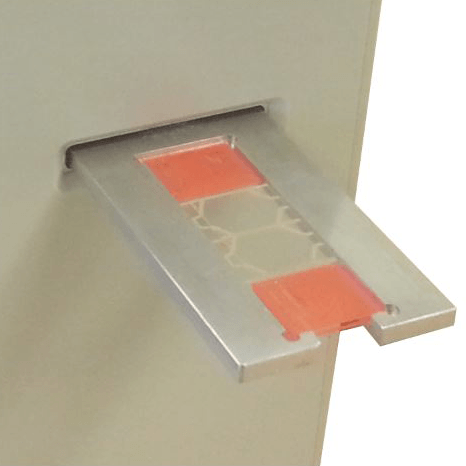 It uses optical technology to accurately and quickly count the number of platelets per nanolitre of blood from a patient. 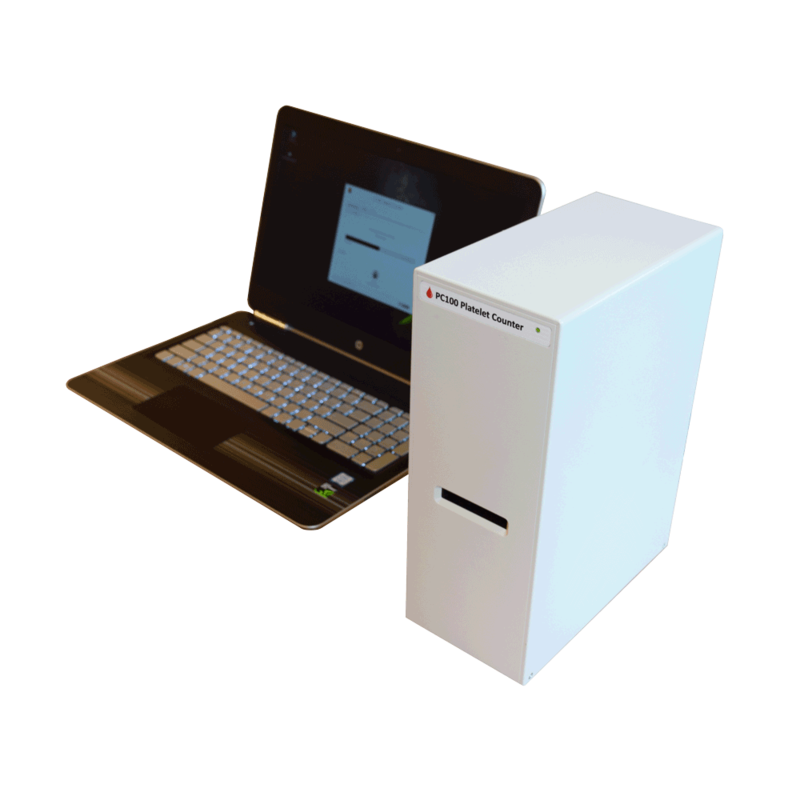 The platelet counter is connected to a normal laptop where the platelet counter software application runs that controls the platelet counter and does all the image processing. Point of Care device with new potential in the market. Only small amounts of blood needed from a patient. Accuracy comparable with the best flowcytometers available. Validated by Maastricht University Hospital from extremely low till high platelet counts. Whole procedure in 7-8 minutes, including blood preparation. Download the PC100 Product Brochure..